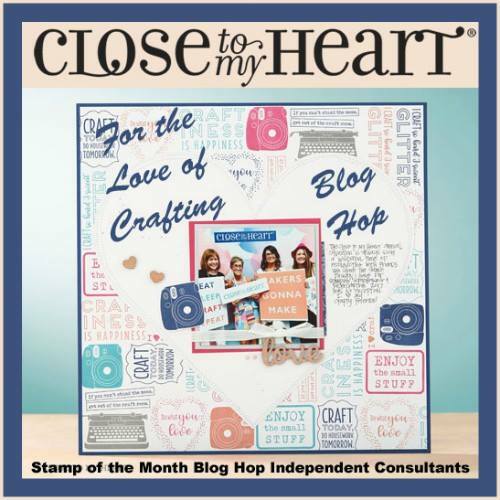 I'm SOOO excited about the next session of Virtual Cardmaking Classes! What is a Virtual Class? And why would YOU want to take it? I started doing the Virtual Class for several reasons. Maybe one of these reasons applies you? The date and time of an actual workshop does not always work with everyone's schedule. Especially in the fall with school activities going on! I work full time - so can only do classes in the evening. Going to class while your kids are in school is easier or you don't like driving at night. I live in Murfreesboro, TN - you live several hours (or days) away! You've never created cards. If you are only a scrapbooker, creating cards can be intimidating! I KNOW! When I went to create my first card I was STUCK on where to start!! You are not afraid of cutting your paper wrong - you just hate taking the time to cut it! Honestly, some people just do not enjoy cutting paper! This is a 4 month class. The price of the basic kit each month will always be $28. You will have the option to add 1-3 ink pads at $9.50 each (ALWAYS OPTIONAL). 6. EXTRA HAPPY from me! When you join my fall session of classes, you will be sent a link to join a FACEBOOK GROUP CLASSROOM. On or close to the 15th of the month (depends on which day it falls) I will post a Facebook LIVE video in the private classroom group showing how to create each card - walking you through each step start to finish. You can follow along with me LIVE or watch when it is convenient for you! Have a question? Ask away! Share you creations! ATTENDING CLASS OFFERS A BONUS: In addition to the cards we create in the kit, I share 2 additional cards I created using the same pre-cut pieces in different ways to create a 2nd look! These extra cards aren't shared anywhere else - so attending class is the only way you'll see them! I'll give you stamping tips along the way. Even though the actual WYW kits will be increasing in price starting September, I'm going to keep the base price of the kits at $28 for this session. 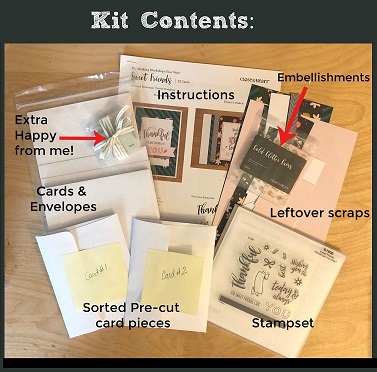 This prices includes the pre-cutting of kit, ALL of your kit materials including the stamp set and guide, and priority mail shipping to you! I am NOT including the cost of shipping the kit to me first. Each additional ink added will be $9.50. All payments for the class are through Paypal. Our first Class will be Hugs for You. Sign up BEFORE September 3 and I will mail you a NEW 2018 Holiday Expressions! Sign up for your first class here! 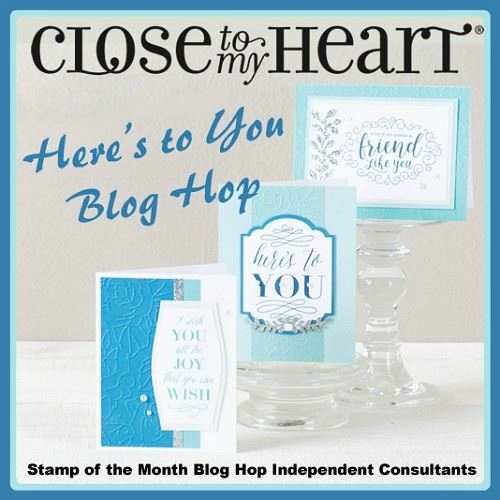 Today we have a special blog hop for you! We are sharing our creations using the Magical Paper Pack that Close To My Heart has brought back in their BRING BACK MY PACK campaign. The Magical Paper Pack has become even MORE MAGICAL with some updated colors that will be introduced in our upcoming Holiday Expressions (debuting September 1 to customers!). If you came from Michelle Stewart's Blog you are on the right track! The hop is a big circle so when you get back to me you will know you completed the hop. This is a small hop so you will get through it in a breeze! I created all the layouts that were in the instruction guide that you can download when you order the Magical Bundle. I had so much fun (they were quick and easy to put together) I wanted to keep going! Right now I have this THING with our new Stitched Thin Cuts. I LOVE them! I wanted to use them on a page with Magical so I pulled out my Stitched Circle Thin Cuts and cut a bunch of circles from pieces of Magical papers and some from the Coordinating Cardstock pack (There are TWO New colors in it!). Here is my page I created.... I'm kind of giddy about it actually. I hope you like it! I used the new Carolina Blue as my base page and cut a White Daisy down to 10 3/4 x 10 3/4. Then I just scattered the circles around. 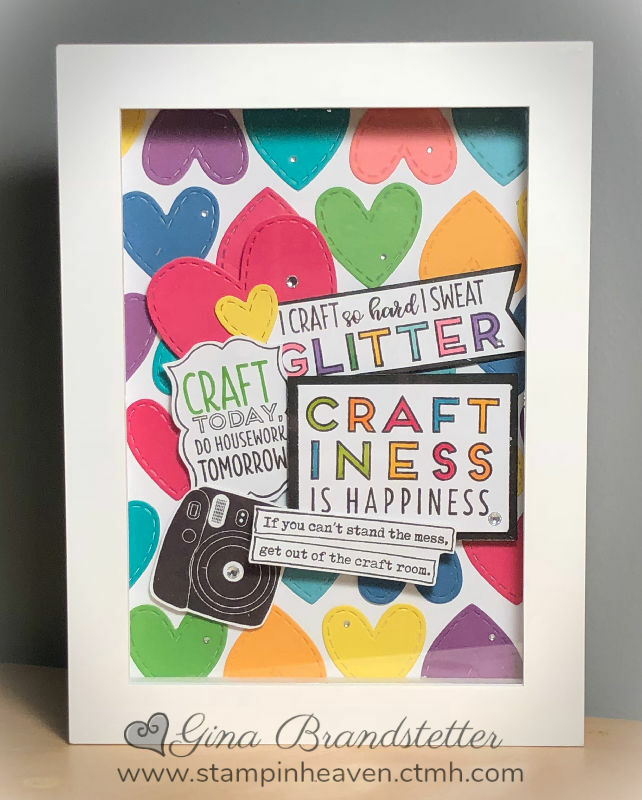 My title is from the You Are Here Cricut Cartridge. I drew stitched lines around the white daisy edge to give it a finished look. 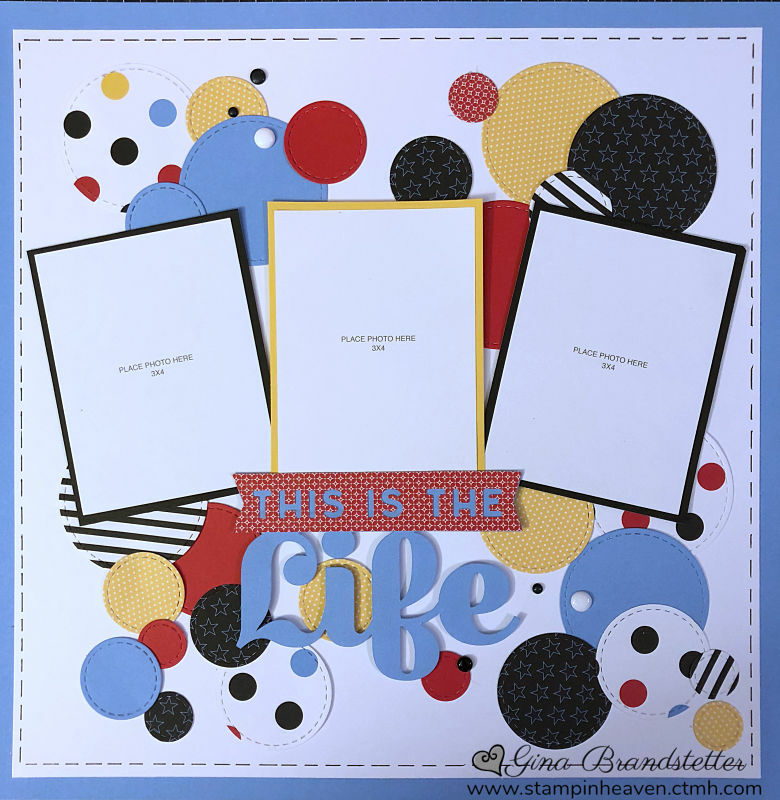 This fun paper pack will only be available While Supplies Last through September 30! Get your More Magical products HERE! 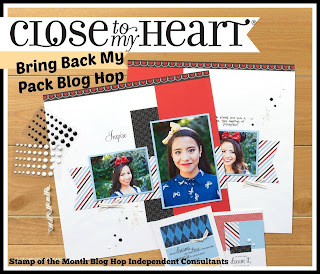 Today we have special blog hop for you! Now through August 31 we have a special bundle available for purchased called Here's To You. 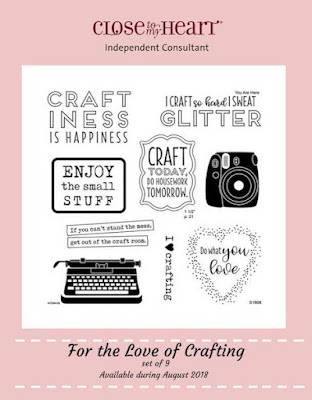 This bundle includes everything you need to create 7 cards and a one page layout! 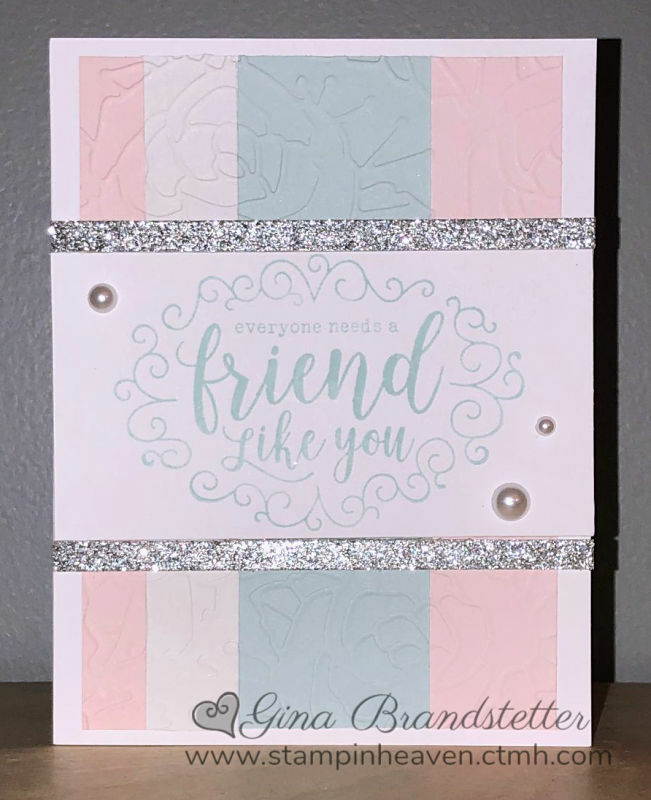 It features 4 exclusive stamp sets and you can purchase the bundle with or with the Rose Embossing Folder! See all the details for the bundles below. If you have arrived from MELINDA EVERITT'S blog you are on the right track! This hop is a big circle so when you get back to me, you will know you completed the hop!! I love the soft colors that are included in the bundle! It has our featured Color of the Year - Bashful which will be retiring at the end of August! the workshop kits are the best value! Be sure to grab your bundle before the end of August! Now it is time to hop over to Vickie ODell's Blog and see what she has created!